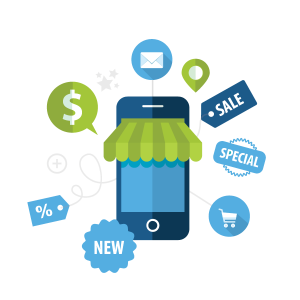 E-Commerce or Electronic Commerce is basically a virtual showroom entailing different product lines. Emarkepedia have been involved in building and managing online stores for long. Our customers vary from standard shopping carts to global companies. Our customers have placed their businesses and interests on our capability of building something handy and appropriate to their needs. Being an expert in our domain, we believe that an online store is not just a platform that sells goods and services it is a complex system that includes online orders, payments, shipping, taxes, report, discounts and many more. If you want to gain trust of your clients and want to take your business to new heights, you’ll need someone like us with excellence and knowledge. At Emarkepedia, we have in-depth acquaintance and understanding to provide the clients with a comprehensive online store that not only work efficiently, but will prove to be the best positive feature of your company needs to convey new customers and assist to keep-up good relationship with the clients. Being a specialist in our domain, we always offer tailor-made services to the clients and go beyond the expectations every time. We never work with pre-made themes and never recommend pre-made and buggy software. Our experts create a custom system with all the features you need to run a successful online business. We always strive to come up with something ingenious and unique that you would love for sure. Whether you would like to update your current website or wants to start to accept payments online, we have just the perfect package for you. Get in touch with us to know more about our services.